2010 November — Dayna Macy, author of "Ravenous"
I’ve been working on my video for Ravenous. I’ve never written a script before but hell, I’ve never written a book before either. 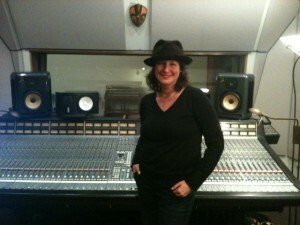 My dear friend Jaime Kyle, a wonderful musician and music producer based in Nashville, wrote the music for piano and cello. Here’s a picture of me in the sound studio where I recorded the voice over, living out some not so deeply embedded rocker girl fantasies. my book and the team that supports it: Patty, my editor; Stephanie, my agent; Lindsay, my publicist. 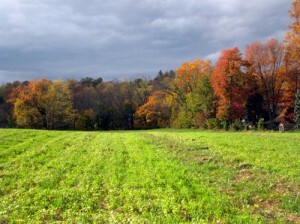 and the miracle of farms coming back to Rockland County, where I was born. This picture was taken at Cropsey Farm . 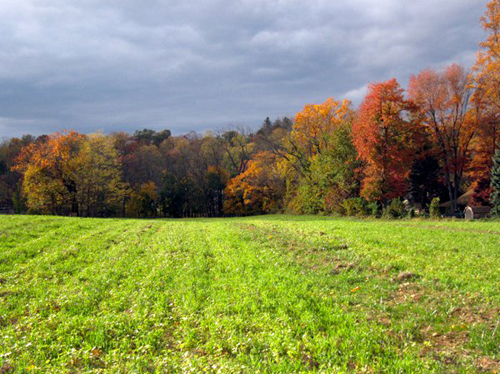 Under a licensing agreement with Rockland County and the Town of Clarkstown, the Rockland Farm Alliance has created Rockland’s first community farm. There were just a few farms left when I was growing up in the 60s, and that land occupied a a huge space in my heart and consciousness. I am thrilled for all the kids growing up in Rockland that they will once again have the opportunity to know what a farm is. Elizabeth Gilbert, author of “Eat, Pray, Love” will be speaking at the upcoming Yoga Journal SF conference. 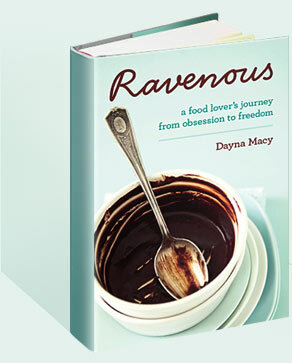 I work at Yoga Journal and a coworker asked me if I ever thought of naming Ravenous, my upcoming book, “Eat, Eat, Eat”. No — but pretty funny. “Eat, Eat, Eat” though, is not entirely accurate (well, it used to be accurate). I could have called it “Eat, Binge, Purge” — but that wouldn’t have been entirely true either — I was never a purger, just a binger. Maybe Eat, Pray, Eat Less. I’m sometimes asked how long it’s taken me to write Ravenous. The answer is, it depends. You could say it’s taken six years. I first got the idea in 2005 when I studied with Sri B.K.S. Iyengar at the Yoga Journal Colorado Conference. Guruji is the teacher of my teachers. I thought that something in the nexus of yoga and food could, perhaps, unwind my ferocious appetite. I thought then I would mostly do reporting. That I’d speak with lots of wise teachers, learn from them, and then, somehow, my life would transform. But as I began to do my reporting, I slowly realized that what I really wanted to write was a memoir. In 2009 I wrote another sample chapter. My agent sold it in three weeks. Then I got upsized again to four days of work a week, so I had to write really fast. But you could also say it took me 38 years to write this book. Because when I was 12, I had an idea for a book I wanted to write but didn’t believe I actually could. I told myself, I’ll write a book someday. And now, at 50, I have. Some promises are just too important to break. And this was one of them. Cleaning up my office today and found this poem by Mary Oliver. I love her work — she reminds me that we must love what we love well, because one day it will be gone.